I need to write a script that gets data from a data point and compares the result with a data item from an event detector. 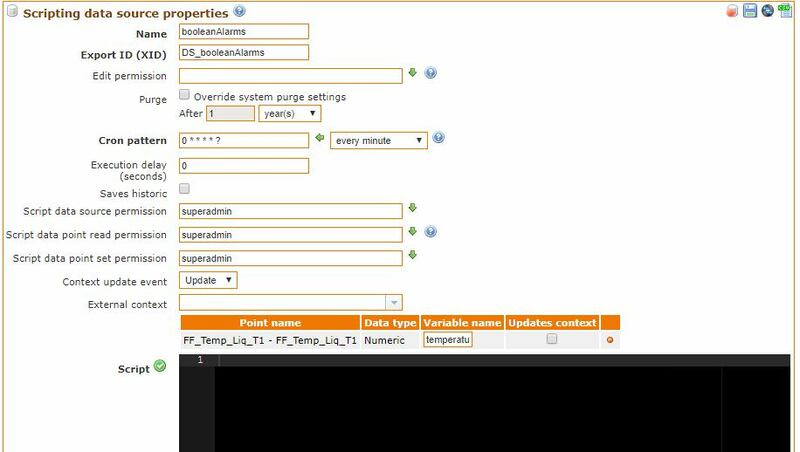 From the drop down list I can not select in External Content the event detector and associate it with a variable. Is there a way to do this? Does make me think scripts could use a better utility for querying events. This is what I would like to achieve. 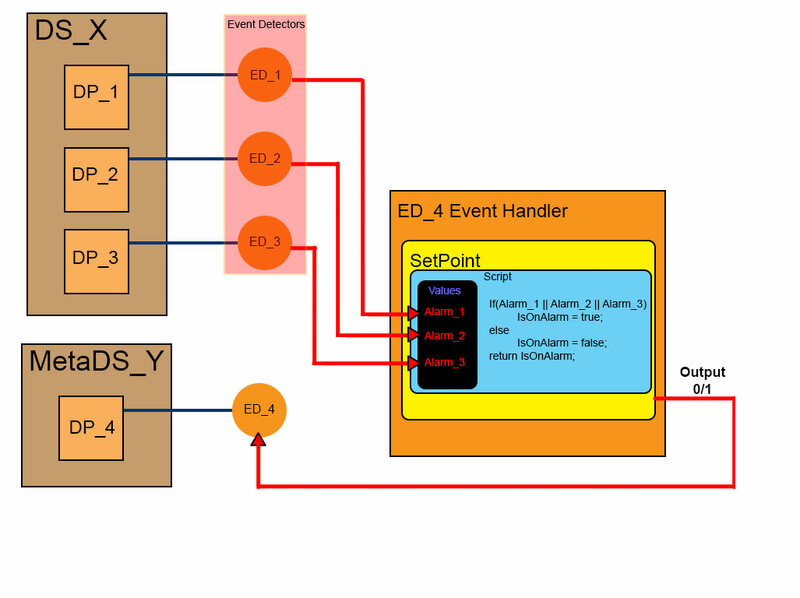 to read it in the script of the event handler of my ED4_SetPoint? Can you explain the arrow to the event detector from the large box on the right? 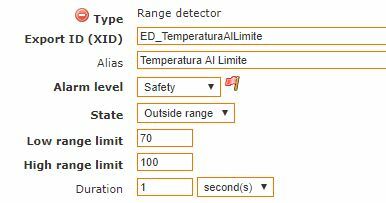 You cannot set values to an event detector, but you could set the value to the meta point and have it trigger that event detector. Have only one of the points update the context. Otherwise multiple updates will occur at the same millisecond, which is not efficient. Use a one second execution delay, this ensures that if the point that is updating the context is updated before the other points, those points have a chance to be updated before the event fires and computes the state of the meta point. Create a state event detector on the meta point for whatever you need to trigger from this true/false. You cannot use an execution delay longer than or equal to the frequency of updates in the meta points context. Meta point execution delays will cancel the delay timer and start it again from a second update, while a script data source will run at the execution delay from the first update it received while not waiting to execute. Please do share your solution as I can see this logic being very useful. I think my method would be to duplicate your event sent points and logic in the meta data point script. Then use the if statement that your proposed to set the meta point. Keep the event detectors so that your event page will still list the events.